WOW! 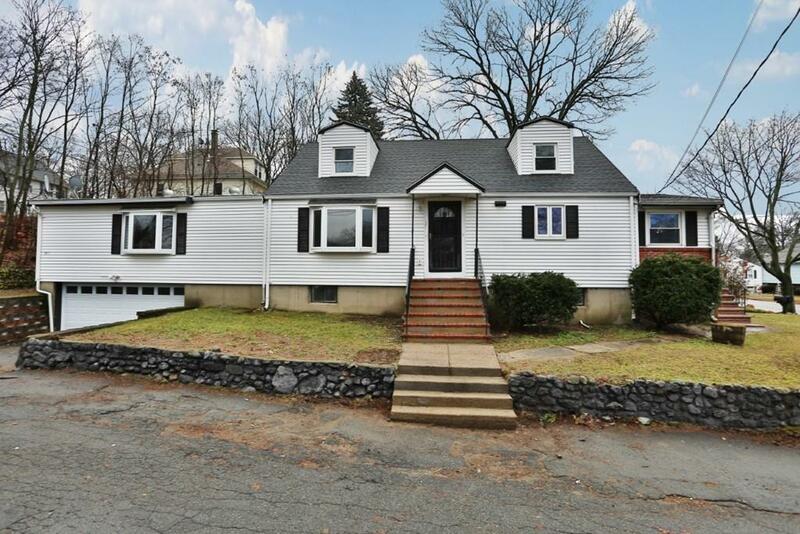 This remodeled 3+ bed cape is a rare find in this market! Unlike most capes, this home boast large spacious rooms and an open floor plan. The new kitchen features white cabinets with quartz countertops, stainless steel appliances and a big island for eating and prepping. Open to the kitchen is both the dining and living room which is great when entertaining. The heated sunroom can be used all year & is a great added bonus. The 1st floor master is spacious & fits large furniture with new tiled full bath just outside the door. With a nice wide staircase leading to the 2nd floor, there are 2 huge front to back bedrooms & a new tiled full bath. There is an additional 728 sqft of living space above the 2 car garage on the main level. This space offers, a new kitchen with white cabinets, quartz counters, and stainless appliances, full bath, large bedroom, & huge liv/din combo. Bring the extended family! Hardwoods throughout. New heat & AC. 2 car garage w/ new door. Nice corner lot!